This album is a musical cross section that also attempts to give some ideas of the variety of personality (musical and otherwise) in jazz. 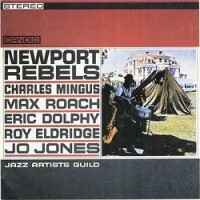 The track 'R&R' is part of the passionate exuberant first meeting of Roy Eldridge and Charles Mingus that also makes up a section of the Newport Rebels/Jazz Artists Guild set (CCD 79022), while 'Black Cat' re-emphasizes, as did the album Lightnin' In New York (CCD 79010) that Sam Hopkins of Housting is one of the most singularly individual and powerful of our vintage blues singers and composers. Cal Massey is a uniquely imaginative composer and 'Father and Son' represents his work here. He got the idea for the song from his young son was tapping out on drums. 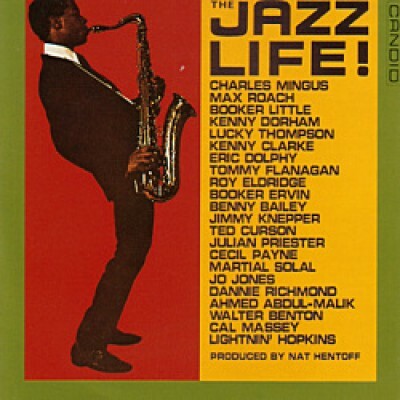 'Lord, Lord Am I Ever Gonna Know' was recorded in Paris by Lucky Thompson with Kenny Clarke featuring inventive drummer Martial Solata, bassis Peter Trunk. 'Vassarlean' underlines Charles Mingus' capacity to construct long, lyric melodic lines that convey exceptional tenderness while 'Oh Yeah, Oh Yeah' features Kenny Dorham and Benny Bailey.